Choose your size, pour your variety, and stir up your perfect cup today! There's always a wide range of mild, medium, and bold coffee varieties brewing fresh day and night. Explore them all below! A classic blend that’s light and mild with a sweet, clean flavor. Our classic blend is mild and mellow with a touch of sweetness. Warm vanilla and the comforting aroma of sweet caramelized sugar. A classic cup of coffee, our 100% Colombian is medium bodied with hints of chocolate. A bold blend of smooth and smoky flavors with a velvety finish. Discover the story behind Wawa Reserve, our exclusive new offering of sophisticated small-batch coffees from near and far. Wawa Reserve is a limited time selection of small-batch, specialty grade coffees. The beans used to make these special varieties follow a strict industry classification and are chosen according to overall cup quality, consistency, and the unique characteristics of their country of origin. Wawa Reserve will always meet the specialty grade coffee bean standards as defined by the Specialty Coffee Association of their growing region. Specialty coffee represents the very best of the world’s coffee yield, comprising only 3% of global production. These regional coffees are grown in special and ideal climates, and are distinctive because of their full cup taste, with little to no bean defects. The unique flavors are a result of the special characteristics and composition of the soils in which they are produced. Each Wawa Reserve bean is meticulously roasted in a small-batch drum roaster. This carefully guides each green bean to its best roast, accentuating the inherent qualities from its region of origin. It’s this attention to detail that creates a fresh and perfect cup of coffee every time. 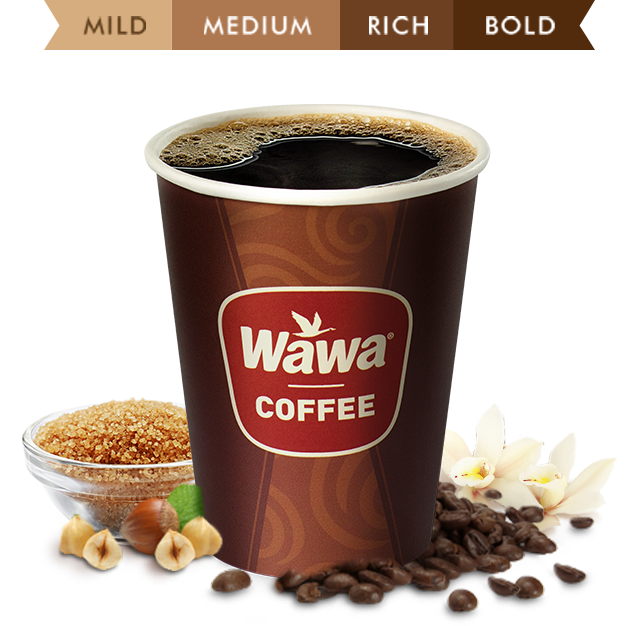 To best appreciate the specific nuance and character of each Wawa Reserve variety, we recommend enjoying the coffee black.